Trends keep changing but every year some leave a lasting impression that is meant to stay. The beauty industry is an interesting place to be in. The consumers have witnessed enormous changes going on in the industry and it has been too exciting to be a part of all of it. As the year 2017 is approaching its end, it’s time to look at the trends in the beauty industry that transformed the whole idea of beauty and its perceptions, until something new and exciting happens again. It seems like consumers are done with chemical-based beauty products. The beauty industry is changing for good and consumers are experiencing the revolution that is happening in the beauty industry. 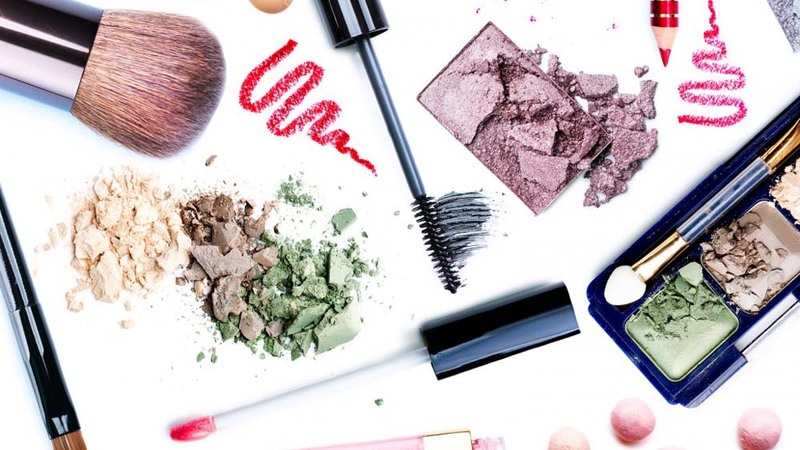 Nature-based products are making it big in the market as consumers are realising the effect chemical-based makeup products have on the skin. Everyone wants to be a part of this natural journey as they do not harm the skin. The markets are getting a variety of products in the organic, natural, green, ayurvedic and also the vegan sector. So, the trend of mixing kitchen ingredients with beauty products is not where everything stops. The idea of ingestible beauty is something that needs to be pondered over as just using products is not sufficient. Consumers have chosen to eat and use the best in order to attain a beauty that is incomparable. Nonetheless, to say, the laser technology has stirred quite a storm in the beauty industry. Consumers have liked the idea of having access to this trend of gaining easy beauty when nothing else works. Laser technology has seen a lot of great innovations taking place which has improved the whole experience of going beautiful in minutes. We all love products which can do good to us super quick. Beauty products with hyaluronic acid and retinoid have been in demand. The reason is they are being hailed as the super effective ingredients that do wonders to your skin in a short time but with regular usage. Products infused with these magical components help in fighting acne, wrinkles and many other skin problems. Technology has blessed the beauty industry with numerous gadgets that serve the perfect purpose of beauty. Every consumer wants to own a device that can easily solve off their beauty need. Beauty gadgets have taken over the beauty industry for quite some time. With consumers going for devices that tackle hair growth, skin pigmentation and various other beauty concerns. Moreover, various beauty apps have made their way to the mobile phones of the consumers and are proving as a great help. “In India, Everyone is talking about whitening. Every spa and salon is offering whitening treatments. The recent survey of the international markets is talking about anti-ageing. The Global Wellness Summit has declared the upcoming turnover of anti- ageing industry as USD 699 Billion which is a quite big number and this trend is also building slowly and steadily in India as well,” says Dr Rekha Chaudhari, Managing Director, JCKRC Spa Destination. “I think the Indian beauty industry is quite ready for organic makeup now because India is a country which is very conscious about eating right and putting right things on their skin. The consumers here are very aware of the advantages and disadvantages of using certain kinds of products which is why I think that the Indian beauty industry is very ready for organic makeup. We all are paying for products that should be beneficial for our skin and not harm it in any way and organic makeup is completely safe and full of benefits. There are many products that are trending in the organic industry. From soaps, shampoos to makeup, every category in the organic industry are attracting prospective buyers. The current trending products in the organic sector are the facemasks which are being used by many people nowadays and as a result, many brands have started manufacturing the same. From our brand’s side, we are into organic makeup, perfumes, skincare etc,” says Sargam Dhawan, CEO and Director, Paul Penders Botanicals India. As the year is approaching an end, we all know the changes the beauty industry has gone through. Every year brings a fresh wave of changes that impact the industry in a big way. Trends keep flooding the beauty market and it is very much visible how consumers love to be a part of these trends. The industry keeps growing and getting better. With the amount of interest by the consumers that get invested in the industry, it is meant to keep moving ahead and expanding itself in the years to come.